Most campers know how to prepare hot dogs, hamburgers and s’mores over an open fire. However, you don’t have to limit your summer eats to these few choices. 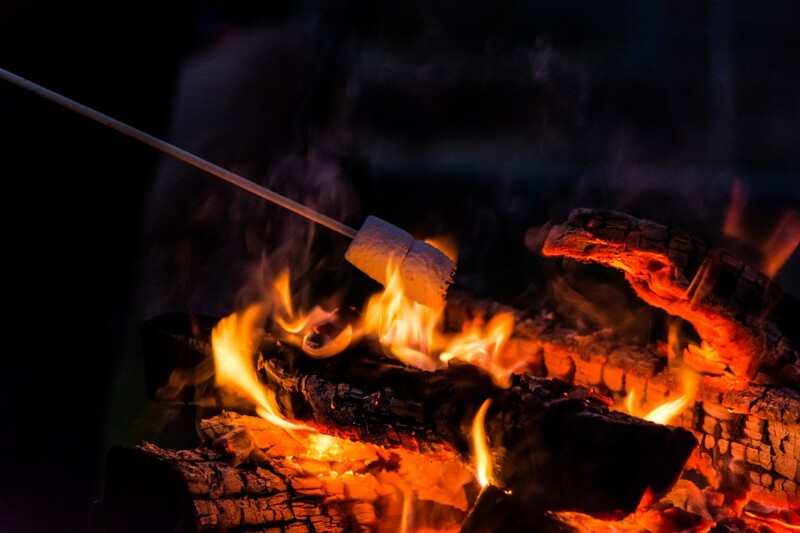 The following two unique campfire treats are guaranteed to impress your friends and family at the campsite. Cut the tops off of all of the oranges and scoop out the pulp. Prepare the cake batter as directed on the box. Homemade cake batter will work as well. Fill the oranges with the batter, then place the orange tops back on the oranges. Wrap the oranges in aluminum foil, then place them directly onto the smoldering coals of a fire. Keep them away from intense flames and allow them to cook for 30 minutes. Turn once or twice during the baking process. 2 to 3 tablespoons of toppings, such as chocolate chips, butterscotch chips, peanut butter, marshmallows, caramel sauce, etc. Slice the unpeeled banana lengthwise, being careful not to cut through the top or bottom of the peel. Open the peel, so it acts like a boat for the banana. Fill the boat with your favorite sundae toppings, such as chocolate chips, chocolate sauce, marshmallows, graham crackers, caramel sauce, etc. Press them into the flesh of the banana without squishing the fruit. Wrap the entire boat tightly in aluminum foil. Cook the banana on the coals of a hot campfire, keeping it away from active flames. Cook for approximately 10 minutes before serving hot. Enjoy your summer RV travels to the fullest by finding your dream RV right here at Fretz RV.